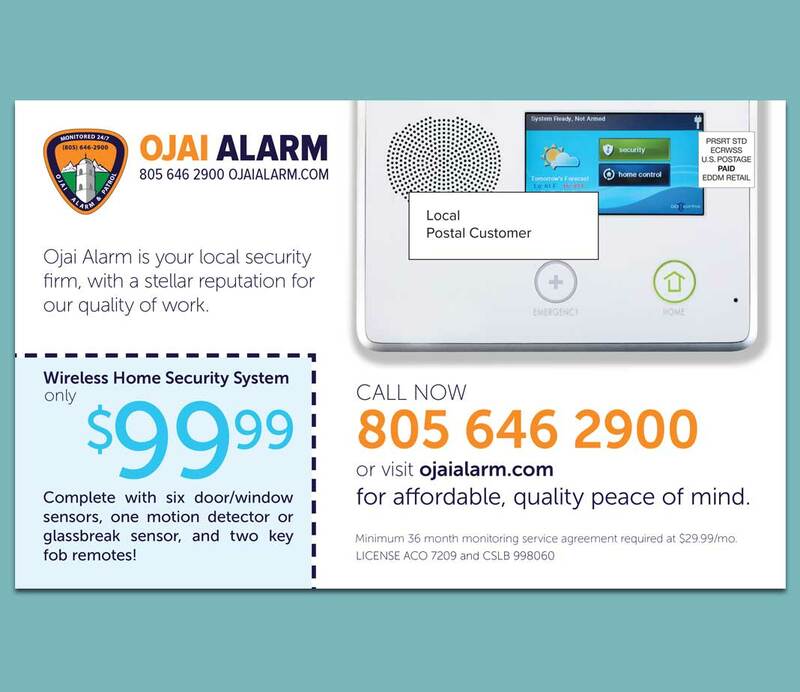 Ojai Alarm is a locally owned and operated security company. 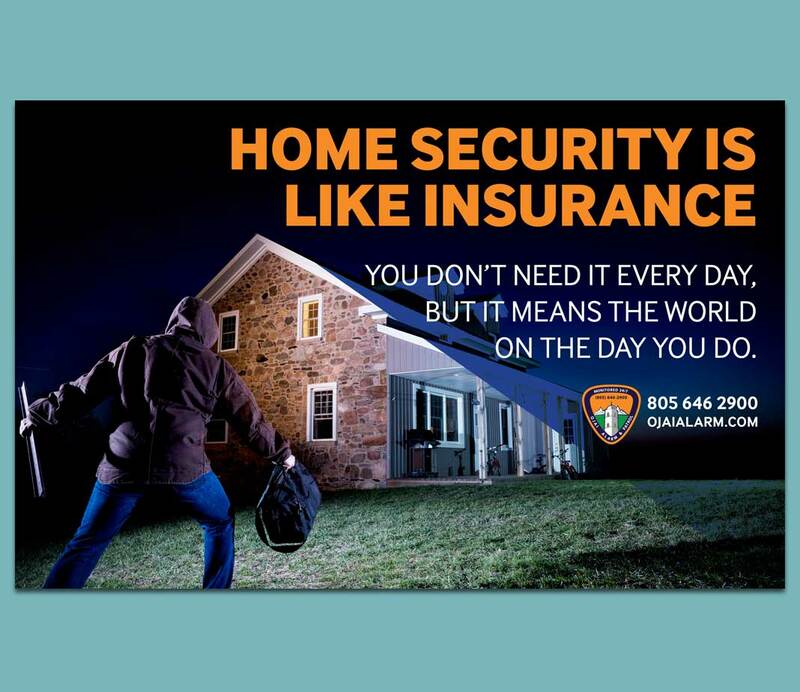 The direct mail marketing piece aimed to highlight the features modern home security systems offer. The mailer also served in part as an introduction to the community and received a good response.